This page features a few photos from 1980 and just shows how much things have changed. I hope you find them of interest. 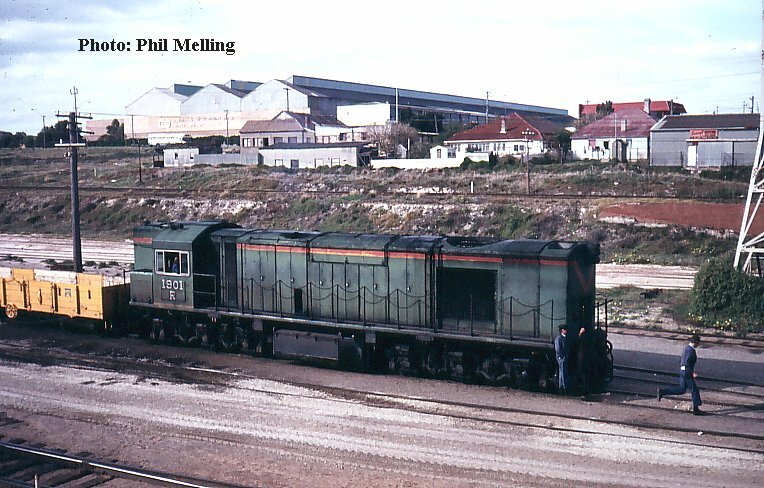 Australian built English Electric R1901 is seen departing the former Leighton Marshalling yards on 12 May 1980. No narrow gauge trains use the yard now. There was a time when we often did not bother to photograph the standard gauge grain trains as it always had an L class on. 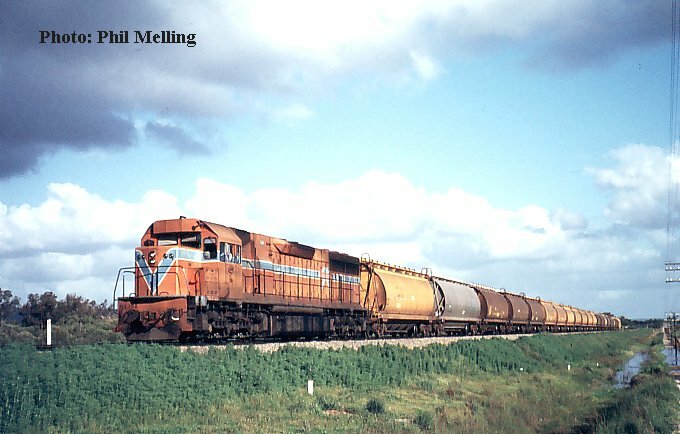 The 'typical" train in this instance is seen hauled by L266 heading through Hazlemere north of Forrestfield on 26 August 1980.L266 is still operating with the Australian Railroad Group in W.A. 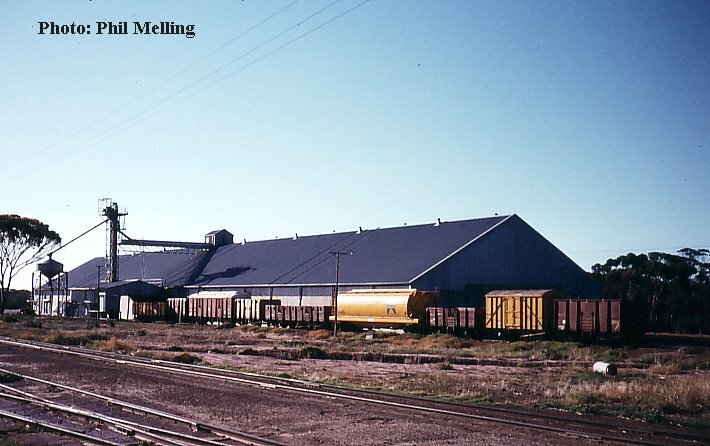 Gnowangerup wheat bin, today the yellow XW class wagon dominates, and there certainly is not the variety of wagons utilised as seen here on 6 April 1980. 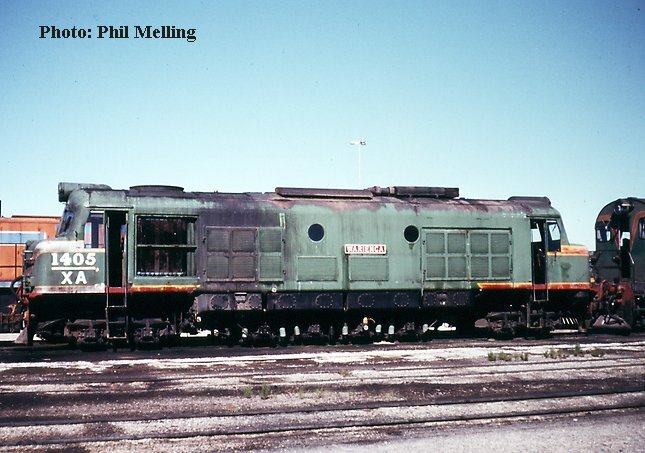 A work worn XA1405 "Warienga" at Forrestfield loco depot on 23 March 1980. XA1405 is now owned by the ARHS and can still be operated. 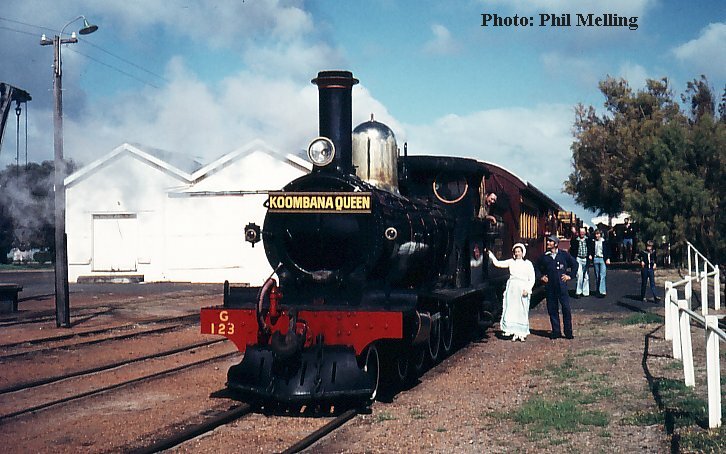 G123 "Koombana Queen" stands with its train at Busselton station on 31 August 1980. What can one say, G123 has just returned to service in 2003 with Hotham Valley at Dwellingup, sadly, Busselton station was relocated to the outside of the town then the rail line closed and lifted.